Mmmm, chocolate and flowers, what a great combination! Even though I like to decorate cakes, I still think it’s hard to beat fresh flowers as a cake decoration. I was bringing a dessert to my sister’s house, and decided to bake a cake. Typically I like to do some type of piping or ruffles or something on cakes that I bring. However, I didn’t really have the time to do that, so decided to go with a rough finish and to add some edible flowers just before I left. 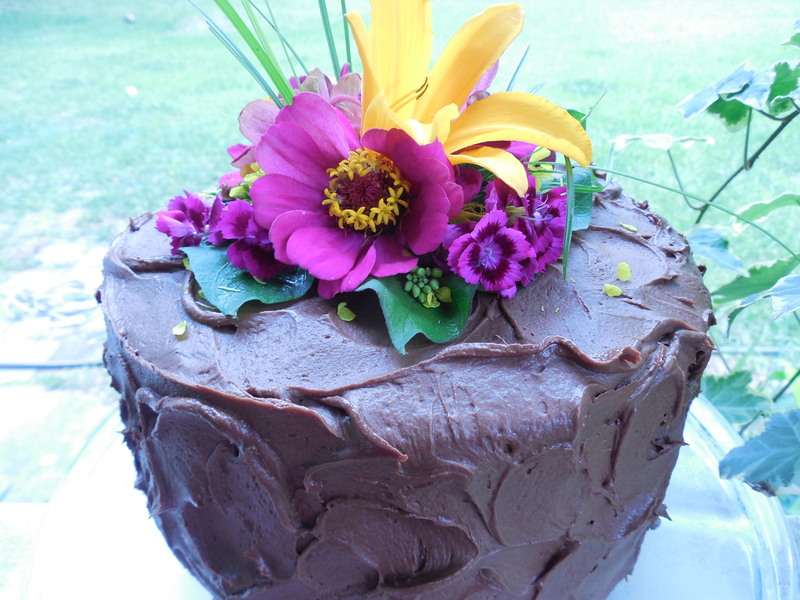 I just love the contrast of the bright flowers against the chocolate frosting, don’t you? 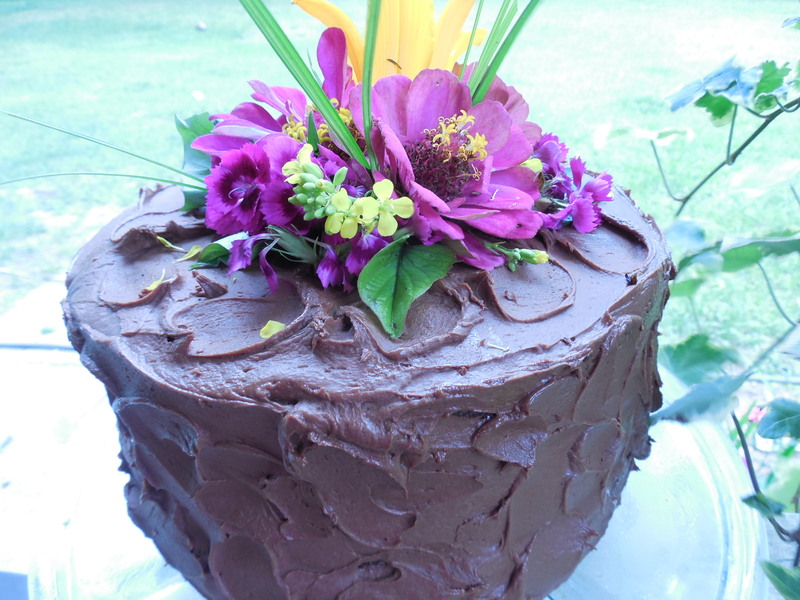 The edible flowers used as garnish on the cake include: zinnia, Sweet William, orange daylily, and a few yellow mustard blooms as accent. The leaves are from a sweet potato plant. Did you know that they are a yummy edible green for summer? Do you use edible flowers as a garnish in your home? For a picture of a pretty flower-garnished salad, click here. 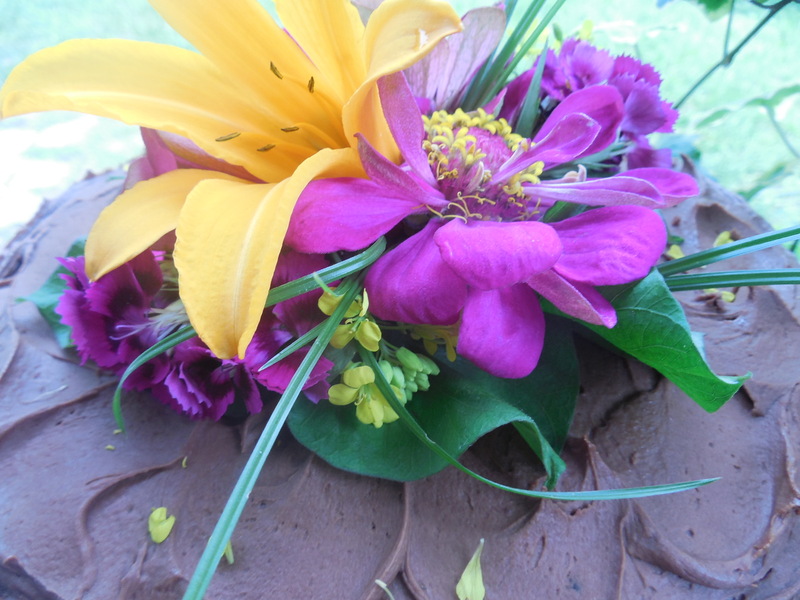 So next time you have to bring a cake, take it easy and decorate it with flowers! Edible, of course. Stay away from alstroemeria.